WE BELIEVE THAT EVERYONE CAN SING. Everyone was born with a voice, a beautiful unique instrument that no one else has. It’s not a magic gift that’s given to the chosen few, but rather a skill that anyone can learn if they are prepared to work for it. With the right coaching everyone can find their voice and experience the excitement of being able to share it with the rest of the world. Our classes are based around a method of teaching that we have affectionately named the ‘spoon full of sugar’ technique. Students develop outstanding vocal technique through a series of fun and seemingly unrelated activities that take away the anxiety people often experience when first learning to sing. Tension is often the biggest hindrance in developing a beautiful tone, however with the strategies we use, we take this right out of the picture. By focusing on the whole singer students are able to master both the physical and mental aspects of singing and performing. 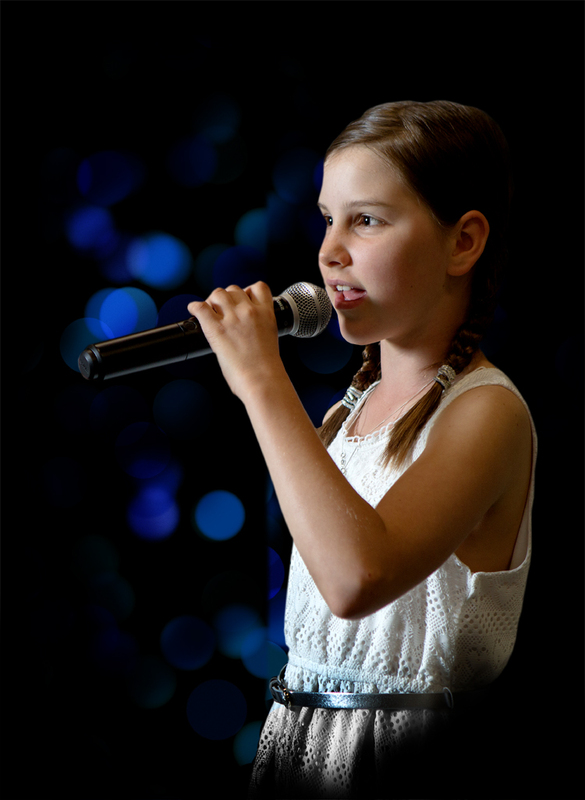 We offer a wide variety of group and private singing lessons for students as young as three years old from the Sydney suburb of East Hills. Students from all levels of experience and previous training are welcomed into our classes with repertoire selected based on the current abilities, goals and interests of the person. We also offer in-house classes to Primary and Secondary Schools around Sydney. If you feel this would be of benefit to your school please send us an inquiry and we will put a program together for you. Nicole Konkoly has over 20 years of experience in music education and musical performance. She is currently a Voice Tutor for the Catholic Education Office’s CaSPA Program (Catholic Schools Performing Arts), and most recently was the Music Coordinator for a prominent Sydney Catholic School for a period of approximately nine years. Since having a family, Nicole has turned her attention back to her primary area of expertise, Voice Tuition, which was how Love2Sing was born. With a Bachelor Degree in Vocal Performance, and Graduate Diploma in Music Education along with extensive performance and production roles, Nicole is able to offer a teaching style that incorporates both the technical and creative aspects of vocal performance. Her personal philosophy is that singing should be a fun and engaging experience for students of all ages and abilities.